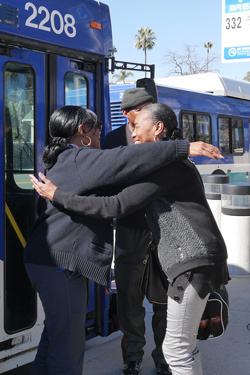 As Janet takes us on a short tour of the Vista Transit Center, she stops to say hello to the bus driver; they’ve become good friends. 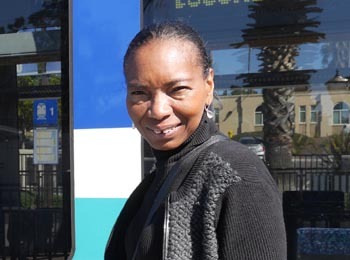 Janet uses public transportation almost daily, and having it available right across the street from her apartment makes it convenient and helps her save money. Today, Janet is passionate about giving back to her surrounding community and is a leader among the residents living at North Santa Fe. As a child, Janet was never encouraged to complete her education, but when she was raising her daughters, she was committed to providing a better future for them. 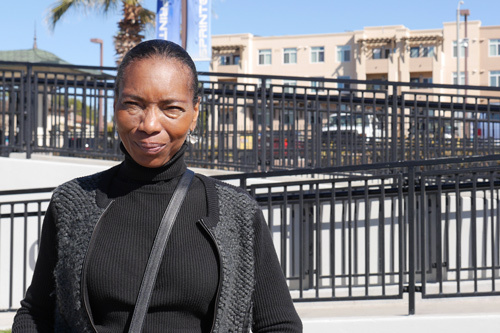 Janet has seen how education has helped her daughters move ahead in life (one is a doctor and the other an attorney) and has dedicated herself to helping the children in her apartment community find the same success. That’s why, every week, Janet volunteers in CHW’s onsite Learning Center, assisting Kindergarten through Third graders with reading and comprehension skills. Janet has also organized and led resident clean up days, as she strives to be a positive influence to everyone around her by promoting a constant can-do attitude. Janet plans to take advantage of CHW’s financial stability programs, including classes and coaching, to bring her closer to becoming more financially secure.